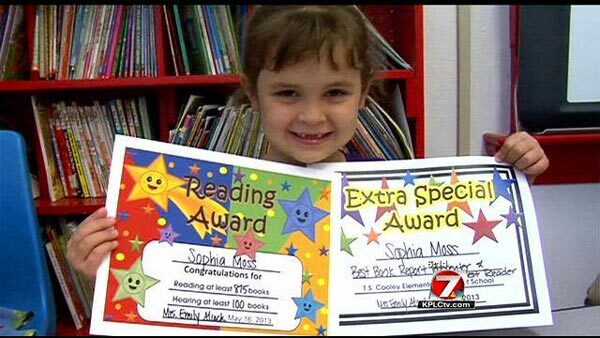 This 5 year old girl has read 875 books in one year! Sophia Moss is definitely not like the other children in her age. She managed to read 875 books in one year, surprising everyone around her. The little bookworm is still in kindergarten and her school's library seems too small for her needs. Sophia read about 20 books every week and she would definitely be able to win a place in the Guinness Book of World Records. Her parents and her teachers are not able to explain her reading obsession and the only thing they say is that she's everyday lost in the magical world of reading. Sophia's only answer to this is that she just loves reading!